Victor Boyarkin, the former lieutenant-colonel of Russian military intelligence and special operations chief for United Company Rusal, returned to the company on Monday after an absence of fifteen months. In Conakry, the capital of Guinea, his arrival is anticipated shortly for a fresh attempt by Oleg Deripaska, Rusal’s chief executive, to relieve new pressure on Rusal to reopen the Friguia (Fria) alumina refinery and bauxite mine, and spend several hundred million dollars committed earlier to investment in Guinea. In Rusal’s annual report for 2013, auditors calculated an impairment charge for Friguia of $167 million. 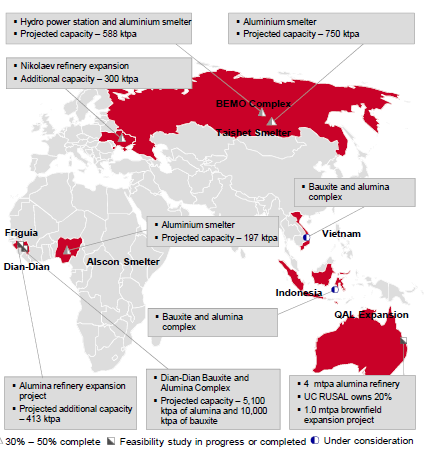 Rusal reported a loss of $325 million in its March quarter report, and has been cutting aluminium production at its Russian plants, so there is no foreseeable need for additional supplies of alumina. 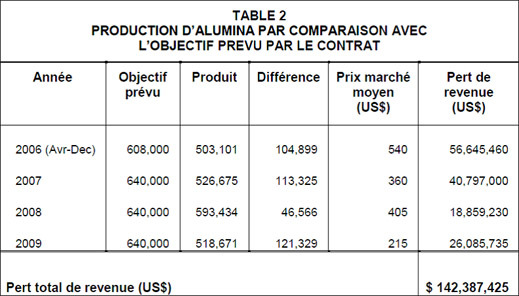 Since 2009 the Guinean government has been claiming that Rusal underpaid for the privatization purchase of the Friguia assets three years before; and then violated its production and revenue undertakings. The government took local court action to nullify the original privatization; Rusal overturned the judgement in the higher Guinean courts, while challenging the Guinean government’s compensation claims in a Paris arbitration proceeding. Rusal has disputed the calculations. 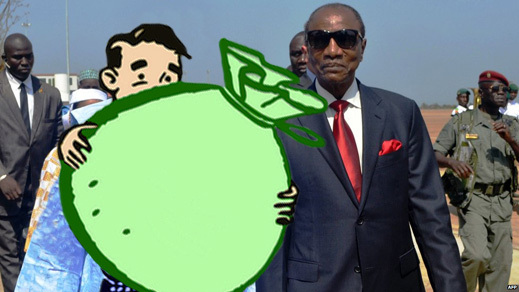 It acknowledges its income tax rate in Guinea is zero. This past March Rusal sources said that since the production halt at Friguia, equipment has been stolen or damaged. Restarting the plant would take up to eighteen months, the source estimated. Boyarkin acknowledged that Monday (June 16), was his first on the new job. Officially, he is an assistant to Rusal’s deputy chief executive, Vladislav Soloviev (right). Boyarkin left Rusal in March of 2013. He had been first introduced to the Guinea negotiations by Deripaska in Paris in October 2009. 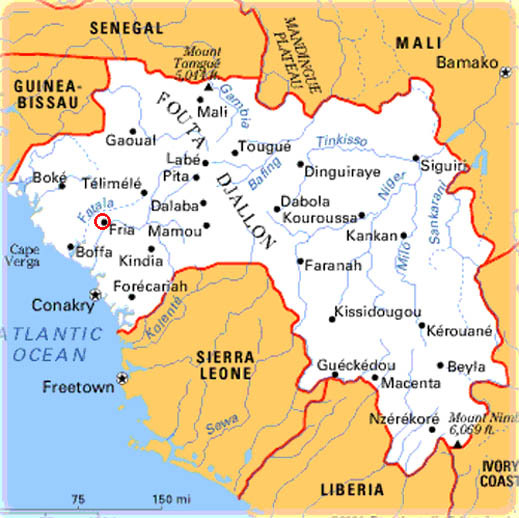 Over the protests of the Guinean opposition, Rusal has managed to continue mining and exporting bauxite from its Kindia mine; and to secure its concession for the undeveloped Dian-Dian deposit without a significant investment to build a new mine or alumina refinery. For the new terms of the Dian-Dian concession, click. In Rusal’s report for 2013 there is no reference to spending on the proposed new bauxite mine at Dian-Dian, which is due to open in 2015. For the record of Boyarkin’s Guinean negotiations, read this. Boyarkin was a military intelligence officer with diplomatic accreditation in South America in the 1990s. When he left Rusal in 2013, he moved to the arms export agency Rosvooruzheniye, which is currently involved in negotiating delicate combinations of arms sales and mine concessions with several African governments – Angola, the Republic of Congo (Brazzaville), Uganda, and Zimbabwe. 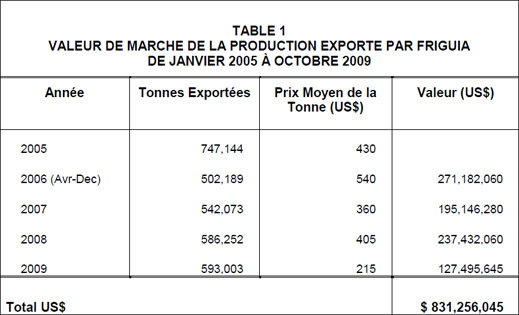 For more on the Congolese arms deal, read this. For the Zimbabwe story, click. In March eyewitnesses reported seeing Russian Mi-24 attack helicopters in Conakry. It is unclear whether these are newly supplied, or are from the Guinean Air Force inventory and have been recently refurbished for operations. Asked to confirm its intention for Friguia, Rusal said it is preparing a response. A Moscow head hunter is currently advertising for a lawyer to work for Rusal in Guinea on a two-year contract.